After a long journey with multiple transfers, and one particularly mind-numbing 8 hour stint in the airport, the team finally made it to Edinburgh late at night on Wednesday, July 30. We crashed for a few hours at a charming apartment in the city center, then left early that morning to find our home for the month, right by the gorgeous Holyrood Park. Julia left to pick up keys from the apartment owners, and didn’t come back for a long, long time… We sat twiddling our thumbs, cracking jokes about kidnapping and charming older men sweeping her away for romantic escapades. Just as the jokes began to turn into real panic, she rolled up in a cab, all smiles. It turns out she did have quite the adventure. Somehow, she ended up at the wrong apartment, and the nice man who answered the door insisted on driving her to the correct address. He and our real landlady were both extremely sweet, proving our assumption that the people of Edinburgh are a kind and welcoming bunch; correct. 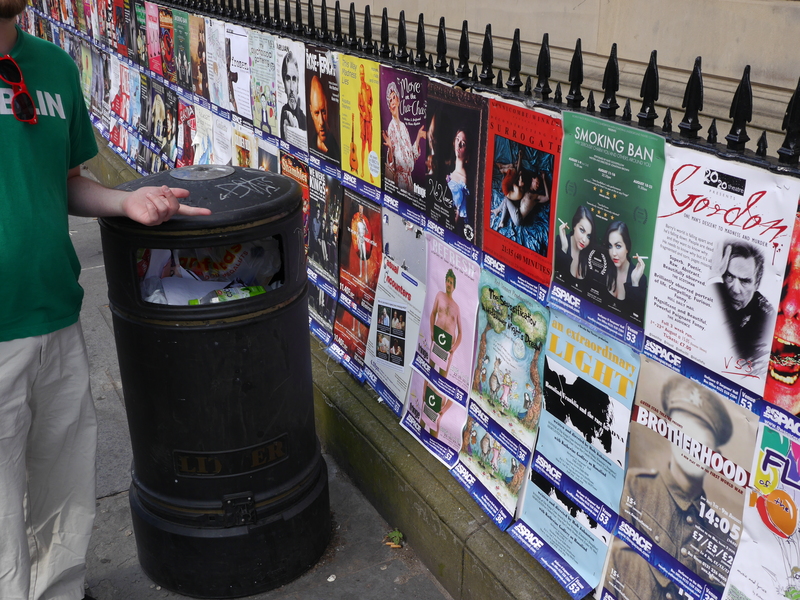 Visiting the space for the first time, we had the surreal experience of seeing our poster up on the fence outside theSpace at Surgeon’s Hall, alongside the other shows performing there over the next few weeks. 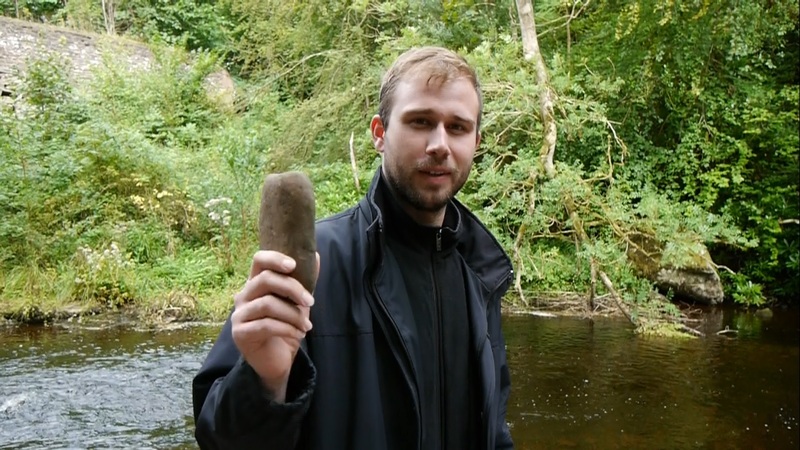 It was there! In this foreign city, so far from home, a piece of work that we had all poured our energy into was part of the living tapestry of the city. It was a moment that hit hard for all of us. The reality of how awesome it was to be a part of the Edinburgh Fringe set in, and I for one, felt grateful to be a part of such a large, vibrant arts community. Postering the city became a fun, albeit tedious, expedition for us each day, as we found new ways to splash Matt’s naked form all over the streets of Edinburgh. From heart-shaped configurations to long, solid blocks of pink, we tried it all to grab people’s attention as crowds squeezed through the city’s too-narrow sidewalks. In the first week, it felt good to retire after a day of postering with chilled fingers and toes, and hear someone say in passing, “Oh yeah, that show. I’ve seen posters for that everywhere” – which really happened! Very cool. Truth time. 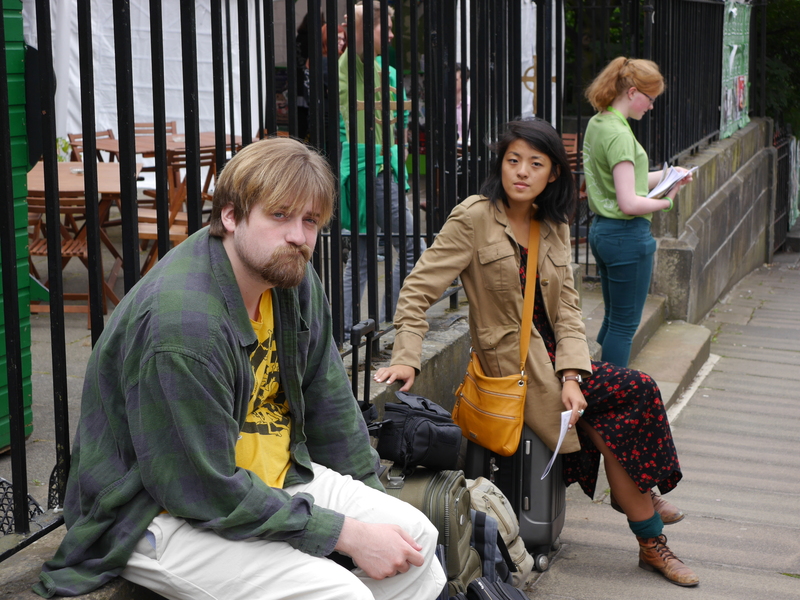 Flyering is the worst part about doing Fringe. Everyone hates it, everyone does it, and there are about 3 people out of 30,000 that love it (because they are really good at it). The rundown: you stand on the street, or in front of a venue, or a box office, or a popular restaurant, and you try to hand off your flyers to hundreds of strangers, with about 2.5 seconds to really catch their interest, and then they’re gone. In these ventures, we all vacillated wildly between charming and aggressive, nonchalant and utterly defeated. Creativity against the Edinburgh weather became important. One night, to pass out flyers outside Surgeon’s Hall in the rain, Lani concocted a contraption with her backpack straps and a scarf to hold her umbrella aloft, freeing both her hands to accost the rivers of people avoiding her gaze. More than once, on a particularly gusty day, I considered throwing my handful of flyers into the sky, letting them rain down on the unsuspecting crowd. When done right, flyering can be such an effective tool for getting butts in seats. We all had moments throughout the festival when striking up a meaningful conversation with someone, or saying just the right combination of things to a group of theater skeptics, sold them tickets to the show–proving that successful flyering is a wonderful feeling. Acknowledging the embarrassment and discomfort when things didn’t go our way, I’m proud to say we all got a rigorous crash course in self-promotion, and we will be taking those lessons we learned forward into future projects. 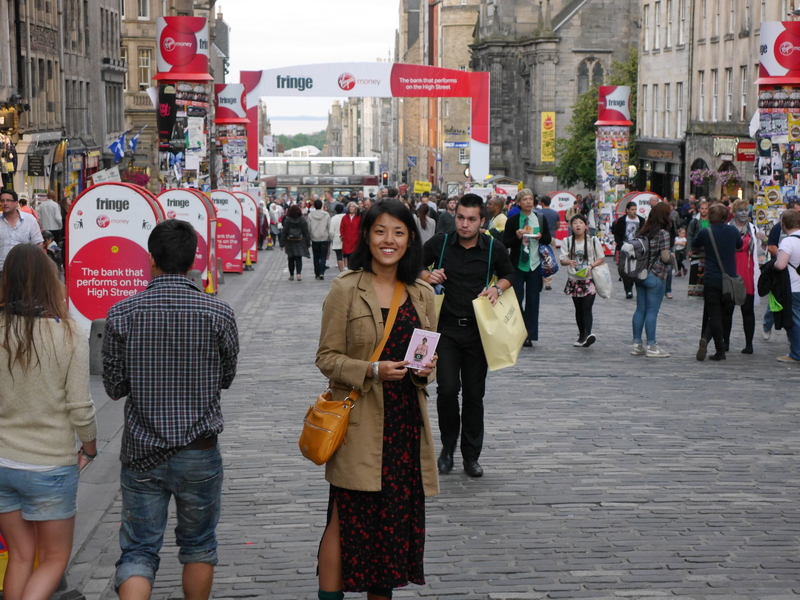 On our very first day in the city, we found ourselves wandering through the streets of Edinburgh, as so many wide-eyed Americans do their first time at the Fringe. As we stumbled upon the momumental Edinburgh Castle, I knew it was a photo-op that shouldn’t be missed. The castle itself is a landmark of Scottish history, dating all the way back to the 12th century. 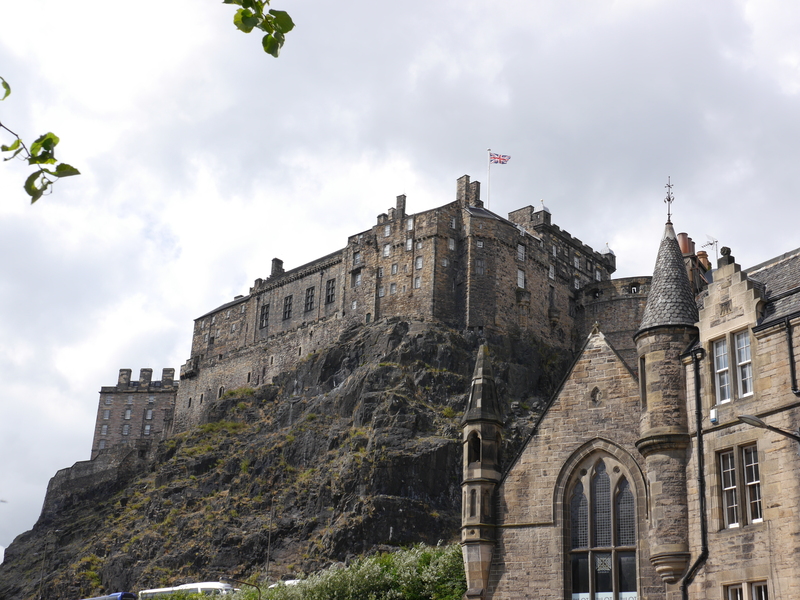 Surviving numerous seiges, both successful and not, and the wear of centuries, this tourist attraction is also home to the Edinburgh Military Tattoo. This event is a world-wide attraction, bringing in over 200,000 spectators to the Fringe every year. Nick and Susie Sillett are lovely young artists we met at one of theSpace UK’s opening parties. They are collectively kind, funny, utterly charming. Apart, they’re… well, there’s a reason they’re together. No, but really, they are both fantastic individuals. 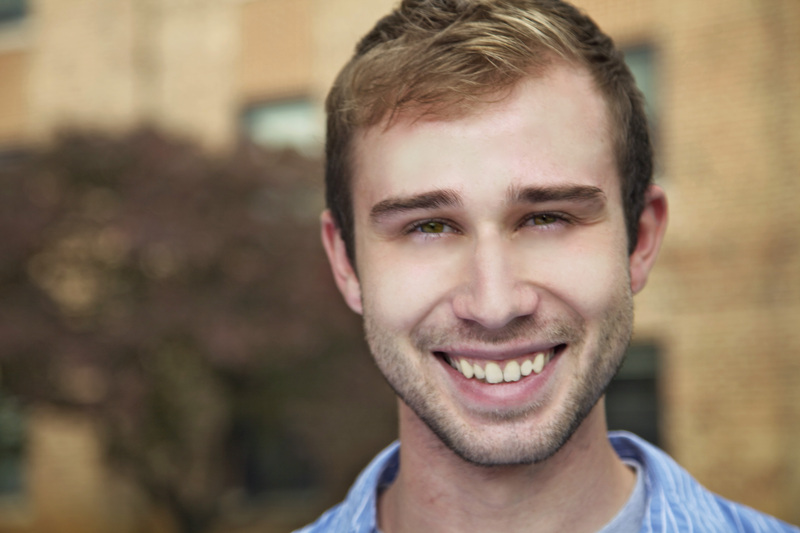 As soon as I found the chance, I sat them down for a video interview. Susie was performing in a one-person show entitled I’m Not Like Other Girls, a soul-baring exploration of her journey from growing up a fairly determined misogynist to proud feminist. It seemed like the sister show to our own. With Nick lighting the way, we sat in the audience spellbound by Susie’s unflinching courage and poise. Her methodical stage action worked in tandem with her precise writing to take us by the hand through the perils, embarrassments, happy moments of Susie’s life, each anecdote a fresh discovery. We experience a huge, joyful punch of release when she hits the moment of revelation. In our interview, I asked Susie what it was like to tell such an intimate story to hundreds of strangers. She said, “Well it’s vulnerable, but not for the reason you might think. I’m comfortable with sharing the information, that’s ok, but rather why should people care about hearing this?” Well because it’s brilliant, that’s why. 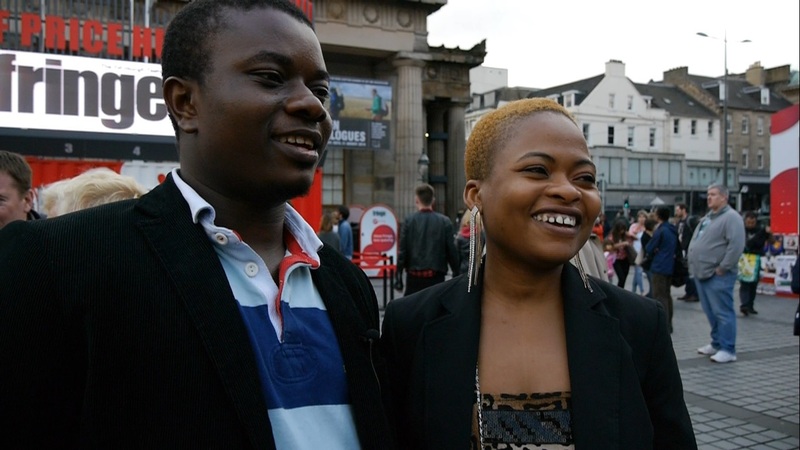 Over a few days, we hit the streets of Edinburgh with our camera to get street interviews from strangers about the festival. We were interested in finding out more about the people flowing into Edinburgh from all corners of the glove this month, why they were, or weren’t, interested in theater and the Fringe, their opinion on the accessibility of live performance, and some candid feedback on our marketing materials. Examples of questions; “Outside of this festival, would you go see a theatre piece? Why or why not?” “Out of all the shows you’ve seen, which would you recommend to your mother?” “Just based on this picture alone (our flyer), would you go see this show, why or why not?” The answers jumped all across the spectrum, from devoted theatre lovers to people who were in it for the bar crawls and live music. What we noted was, people loved to open up and talk about where they were from. Folks were either intrigued by the bold image of a naked man holding a laptop, or violently disgusted; no middle ground. People feel that theatre is too expensive to see on a regular basis, unlike buying a DVD or watching Netflix. A lot of the show recommendations to mothers involved singing. Hm. Hard to draw too many grand conclusions, but it seems safe to say that across age groups, there is a clear interest in theatre, but it is perceived as increasingly inaccessible to many. This month-long Fringe is manna for those who love it, want it 24/7, and can’t afford to spend too much. With deals like 2 for 1 days, preview days, and the half-price hut, festival-goers have several options for affordable theatre. MORE from this series soon.